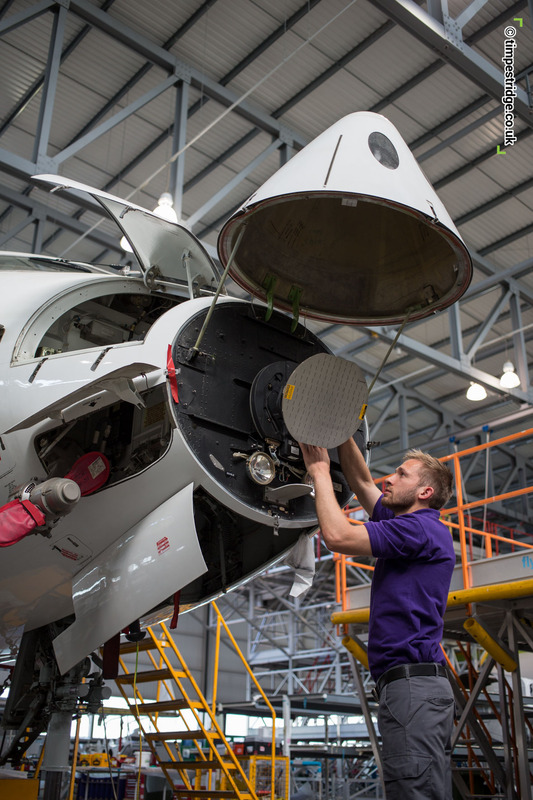 Flybe engineers working in hangar. Set up was quite close to reality, but I added 1 main light and 4 fill/rim lights behind the scene to create shiny floor. Almost the same lighting as above shot, but I switched to the Samyang 14mm prime, which is a totally manual lens, no autofocus, and no comms with the camera. 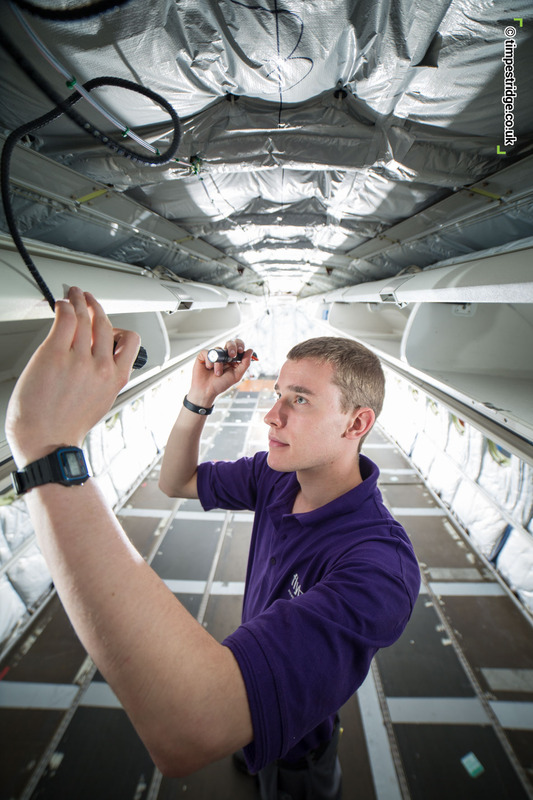 Flybe trainee working in a stripped out aircraft. Samyang 14mm, took a couple of goes to get the focus bang on. Nailed it with this shot. 3 light set up. 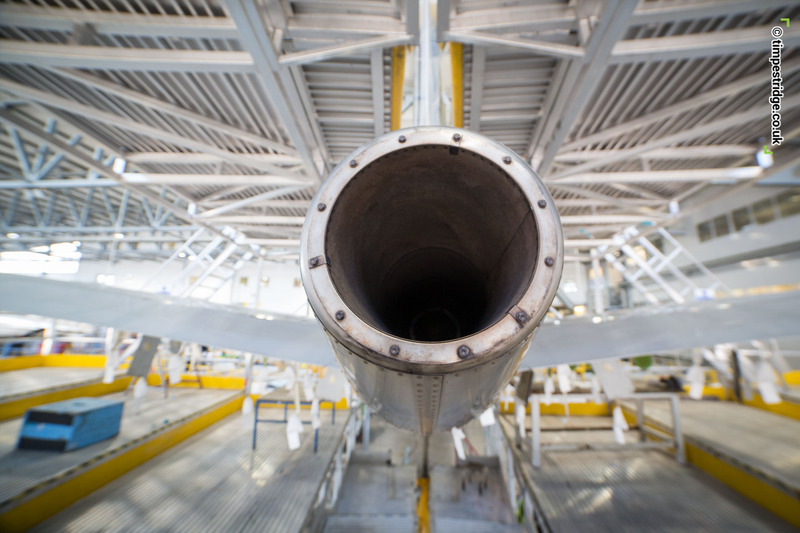 Front end of aircraft, engineer working. Natural lighting, Canon 40mm pancake lens. 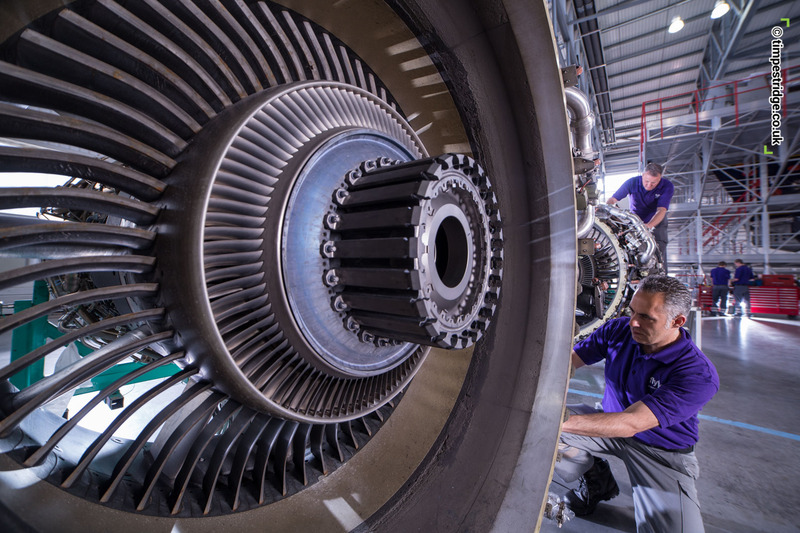 Shot for use with training collateral. 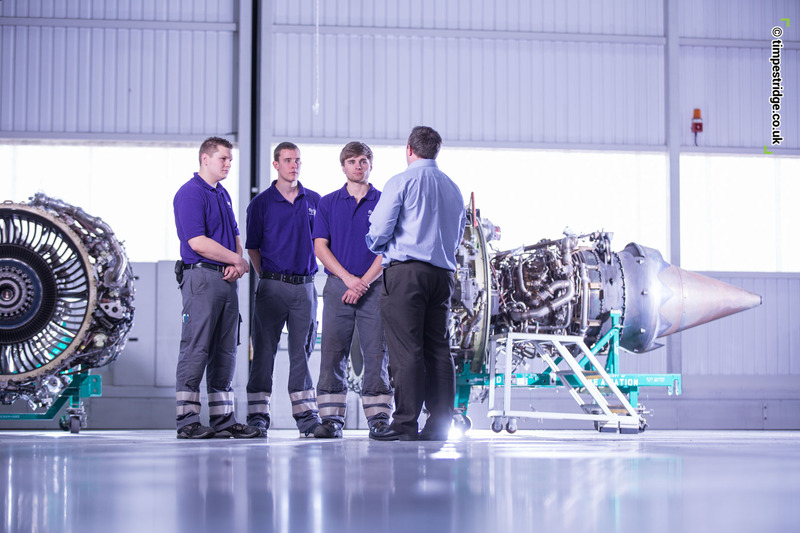 Group of Flybe trainees, shot with 70-200mm f2.8L. 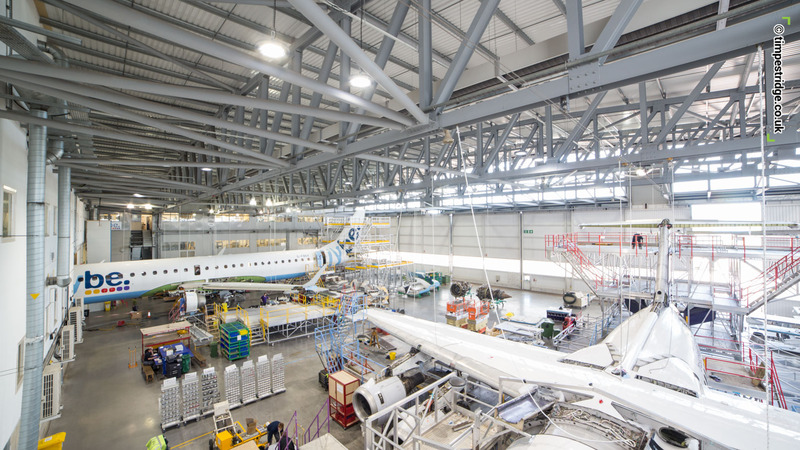 Great working in a hanger, so much room to play with. Really pleased with this shot, taken in dayilght as shots above, but forced darkness by using Canon's LOW ISO setting. Tricky lighting as hangars in shadow, strong overhead sun, Lee filters to the rescue! Canon 24-105L lens, me lying on the floor. 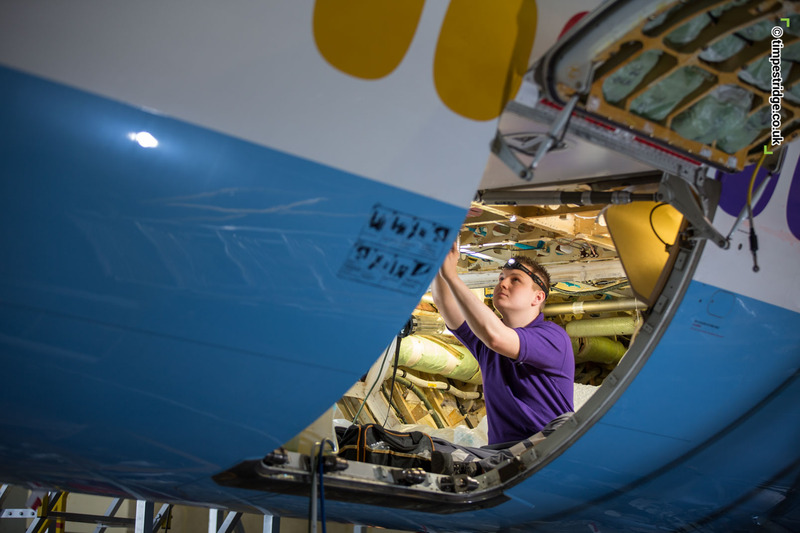 Engineer working inside plane. 2 speedlights in with engineer, 1 Calumet Genesis GF400 outside. Being picky, you could retouch the flash reflection on plane. 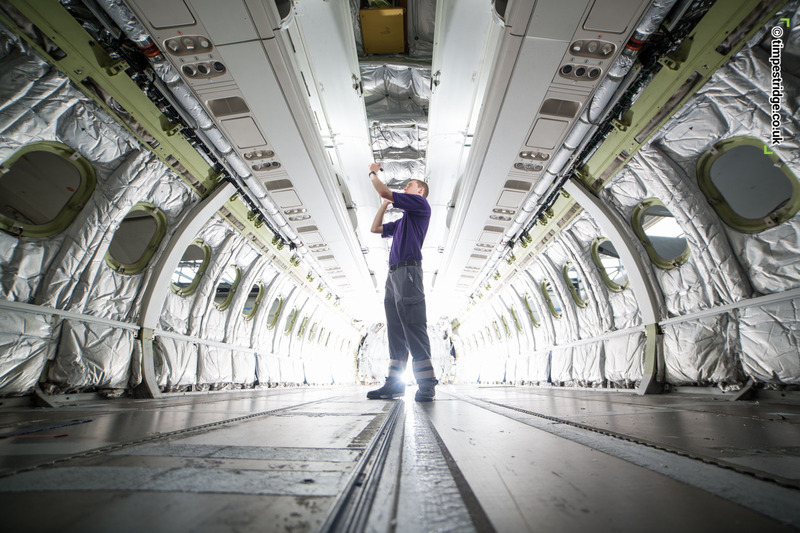 Trainee / graduate working inside aircraft. 1 Calumet Genesis GF400 behind set to 1/2 power, 2 strobes pointing out of luggage lockers. 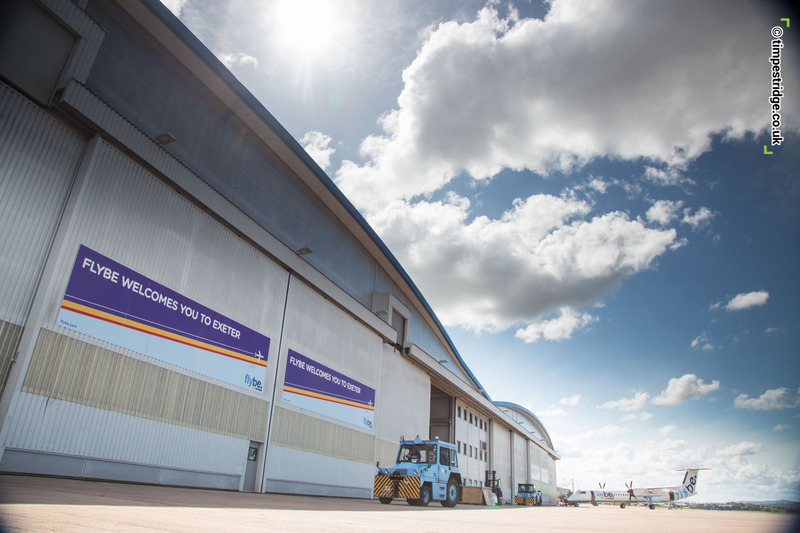 One of the Flybe hangars, a huge space. Shot with Samyang 14mm prime. 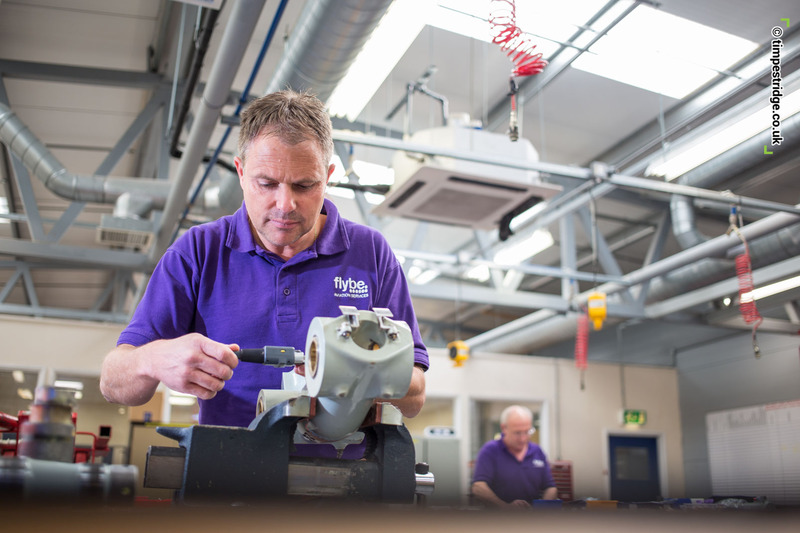 Flybe are able to service and maintain not only their aircraft, but other companies craft too. Canon 70-200 L natural light. We did a reccie the day before with AB Group, Flybe Training's design agency, which is always best practice to get the ideas in before the big day. The client snapped this shot below of me working on a shot too, getting low to shine up the floor. 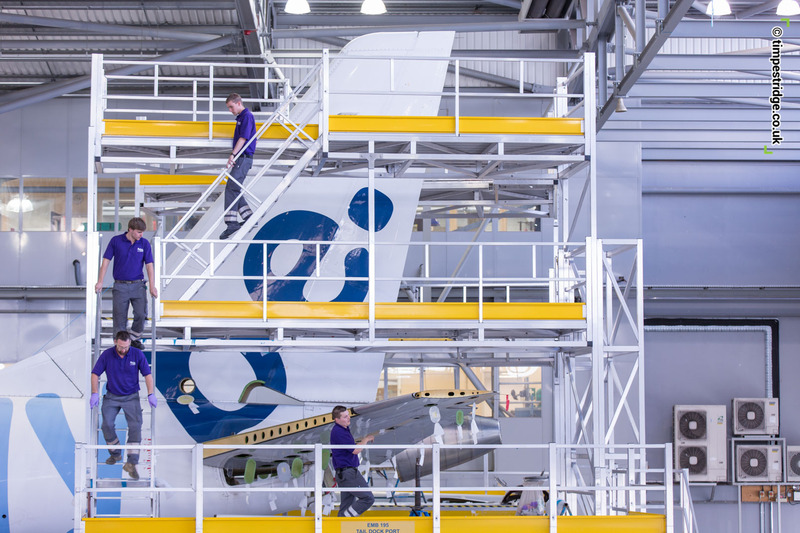 I'm posting up my favourite creations from today at Flybe. The shots are all straight off the camera, without any retouching. 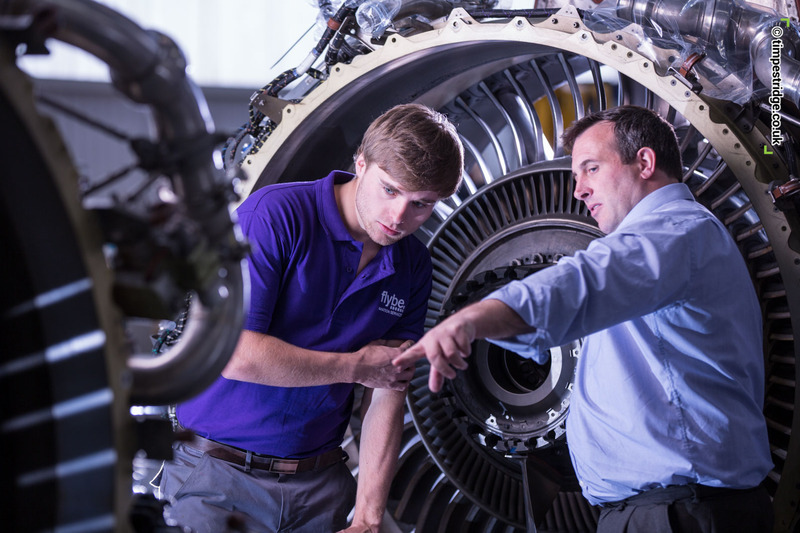 Flybe are able to service and maintain not only their own aircraft, but also aircraft belonging to other companies. Kit used included Manfrotto carbon tripod and light stands, Godox strobe speedlights (pair), Elinchrom Ranger 1100W with large rectangular Rotalux soft box, Lastolite speedlite softbox, Canon 5D mk3, Calumet Genesis GF400 (pair), Lee grad filters (hard), Canon 24-105mm L f4, Canon 70-200 f2.8 L, Samyang f2.8 14mm prime, Canon 50mm f1.4, Canon 40mm pancake lens. Thanks to Canon UK, Elinchrom, Lastolite, Samyang and Calumet (Bristol).